Pennsylvania law puts state police in charge of law enforcement in communities without their own local cops. That setup has long concerned many officials. But they’re now under pressure because the commonwealth has been cutting down money from its Motor License Fund that goes to the Pennsylvania State Police. 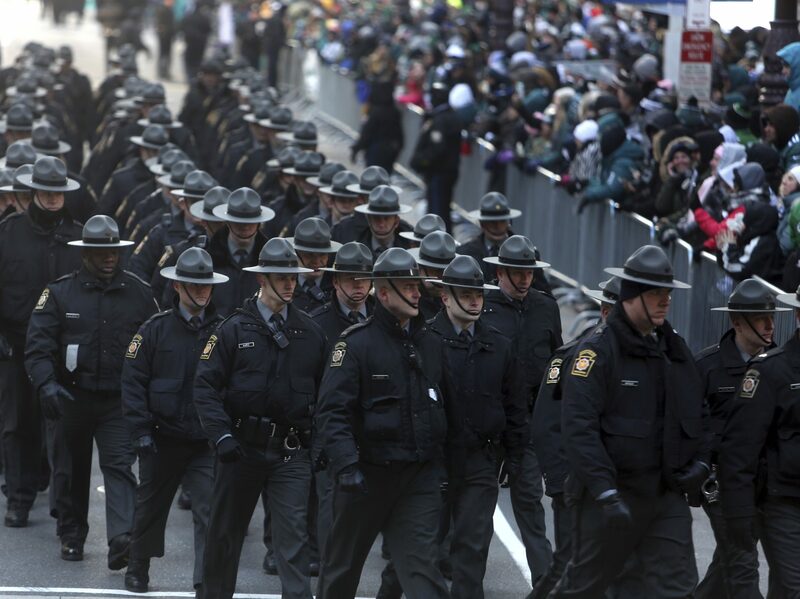 Half of Pennsylvania’s 2,600 communities rely on state troopers for local law enforcement services, and more than 400 others have part-time coverage. Many are rural: Collectively, municipalities patrolled exclusively by PSP account for nearly 20 percent of the state’s population (nearly 27 percent if you include places with part-time coverage) and about 80 percent of its land mass. Wolf’s latest proposal is different, though. The per capita payment would start at $8 for communities with 2,000 or fewer residents, increase to $17 per capita for those with between 2,000-3,000 people, then $25 per capita for those with 3,000-4,000 people and so on, scaling up $8 or $9 per capita for every thousand residents and topping out at $166 per capita for communities of 20,000 or more, according to a payment schedule from the Governor’s Office. Wolf’s funding plan would generate less than a quarter of the nearly half billion-dollar estimated cost for state police to provide coverage in communities without local law enforcement. That doesn’t take into account their increased presence in certain schools. “Given Pennsylvania is currently 500 troopers below its complement and is the primary law enforcement agency for about 85 percent of the commonwealth, the PSTA supports any effort to fund cadet classes in order to avert a staffing crisis,” Pennsylvania State Troopers Association President David Kennedy said in a written statement. A note about the data: PA Post used U.S. Census 2017 population estimates, a proposed payment schedule from the Governor’s Office and municipal police coverage data generated Jan. 4 from the Pennsylvania State Police. Editor’s note: The map has been updated to include a legend.